Found her on the 1900 Brooklyn, Kings, New York census (dist 560 img 54) as Katherine Fingarr age 27. No children. Father, mother born Germany. Found him on the 1850, Huntington, Indiana census (dist 52 img 14), age 37, farmer, born NC. Found him on the 1870 Lafayette, Allen, Indiana census (img 1) as Wm M. Austin, age 55, farmer, born Ohio. His son John C. Austin is living next to him. Found him on the 1880 Lafayette, Allen, Indiana census (dist 116 img 13) as William Austin age 75, farmer. Found him on the 1860 Smith Grove, Davie, North Carolina census (img 16) as Giles Barneycassel age 4. 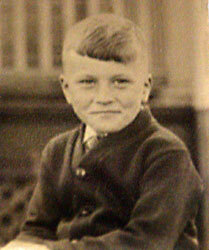 Found him on the 1870 Fulton, Davie, North Carolina census (img 37) as Giles Barnacastle age 4. Found him on the 1880 Fulton, Davie, North Carolina census as Giles Barneycastle age 22, farmer. Found him on the 1900 Shady Grove, Davie, North Carolina census (dist 73 img 15) as Jiles M. Barneycastle age 46, farmer. Found him on the 1920 Shady Grove, Davie, North Carolina census (dist 51 img 11) as Giles M. Barney age 65, farmer. Found him on the 1910 Mason, Arenac, Michigan census (dist 29 img 1) age 58. Found him on the 1920 Newton, Catawba, North Carolina census (dist 44 img 17) age 5. Found him on the 1930 Hamden, New Haven, Connecticut census (dist 139 img 6), age 4. He died as a child after choking on a golf tee. The spelling of his last name varies, Ferfarek, Feifarek, Ferferk, Fifrick. Found him on the ship's passenger list S. S. Celestial Empire as Christof Paifavek age 52. He and his family arrived in the U.S. on July 5, 1872. Found him on the 1880 Peshtigo, Marinette, Wisconsin census (dist img 26) as Christ Feifarek age 60. He and his wife are living in the household of their son Lorance age 32. FELIX - Jacob C. Felix, formerly of 2113 Bailey Ave., October 8, 1945, husband of the late Elizabeth Finger Felix; brother of William A., Mrs. Edward Trapp and the late Mrs. Barbara Schultz and John Felix. Funeral from George A. Schlmmel Funeral Home, Genesee at Fougeron, Thursday afternoon at 2 o'clock. Friends Invited. - Buffalo Courier Express October 10, 1945. Found him on the 1900 Buffalo Ward 18, Erie, New York census (dist 141 img 3) as Jacob Felix age 21, single, living at home. Teamster. Came to the U.S. in 1886. Found him on the 1905 Buffalo Ward 13, Erie, New York census (E.D. 02 img 14) as Jacob Felix age 24, clerk. He is single and living at home. Address: 731 Jefferson. Found him on the 1920 Buffalo, Erie, New York census (dist 103 img 1) as Jachob Felix age 40. Came to the U.S. in 1883. Found him on the 1930 Buffalo, Erie, New York census (dist 192 img 38) as Jacob Felix age 49. Shipping clerk, furniture store. Found him on the 1940 Buffalo, Erie, New York census (dist 64-322 img 12) as Jacob Felix age 59. Shipping clerk, retail furniture store. He is a widower and is living in the household of his brother William Felix age 52. A daughter was born to Mr. and Mrs. Roscoe W. Fingar of Ghent at 12:03 a. m., at Hudson City Hospital. Mrs. Fingar is the former Elsie Thayer, daughter of Mr. and Mrs. Geo. Thayer, of Ghent. - The Chatham Courier 1946. Found him on the 1900 Germantown, Columbia, New York census (dist 13 img 31) as Richard Fingar, age 9. On his WWI draft registration card (June 5, 1917) it says he has a wife & 2 children to support. His occupation is State Road Patrolman. Found him on the 1920 Germantown, Columbia, New York census (dist 18 img 17) as Richard Fingar age 27, laborer, fruit farm. He and his wife Geneva are living with his parents. He is not listed with the family on the 1930 Claverack, Columbia, New York census. However, there is a Richard Fingar age 38, a patient at the Columbia County Tuberculosis Hospital. Unknown if this is him. Found her on the 1900 Civil District 6, Blount, Tennessee census (dist 18 img 13) as Flora Finger age 12. Found her on the 1910 Civil District 6, Blount, Tennessee census (dist 20 img 15) as Flora Finger age 21, single, living at home. Found her on the 1920 Civil District 6, Blount, Tennessee census (dist 20 img 6) as Flora Hammond age 29. Found him on the 1930 Arkedelphia, Clark, Arkansas census (dist 10 img 6) as Mack Finger age 1 year 8 months. Found him on the 1860 (not stated), Warren, Tennessee census (img 27) as Wm. B. Finger age 6. Found him on the 1870 Warren, Tennessee census (dist 9 img 15) as Wm B. Finger age 15 farm labor. Found him on the 1900 Justice Precinct 5, Brazoria, Texas census (dist 5 img 35) as William Finger age 45, farmer. Found him on the 1910 Justice Precinct 5, Brazoria, Texas census (dist 11 img 18) as Wm B. Finger age 55, farmer, dairy. Mr. and Mrs. H. J. Landolt announce the engagement of their daughter, Violet, to Edward Albert Stuhrman, a graduate of Columbia University. - The Brooklyn Daily Eagle January 5, 1908. Found her on the 1900 Brooklyn Ward 22, Kings, New York census (dist 357 img 23) as Violet L. Landolt age 17. Found her on the 1920 Atlanta, Fulton, Georgia census (dist 126 img 46) as Violet L. Stuhrman age 36. Found her on the 1940 Miami Shores, Dade, Florida census (dist 13-24 img 30) as Violet L. Stuhrman age 55, widow. She is living with her daughter and son-in-law, Albert and Virginia Stuhrman. Found him on the 1930 Lincolnton, Lincoln, North Carolina census (dist 12 img 17) as James Lanier age 2 years 0 months. Found him on the 1930 High Point, Guilford, North Carolina census (dist 59 img 41) age 12. Found him on the 1875 Rhinebeck, Dutchess, New York state census (E.D.01 img 3) as Stephen A. Rickert age 50, farmer. Found him on the 1900 Jerusalem, Yates, New York census (dist 138 img 17) as Newell H. Stone age 12. Found him on the 1900 Fishkill, Dutchess, New York census (dist 8 img 20) as Floyd G. Wolven age 9. Found him on the 1910 Fishkill Ward 3, Dutchess, New York census (dist 44 img 2) as Floyd G. D. Wolven age 19, clerk, gas company. Found him on the 1930 Schenectady, Schenectady, New York census (dist 59 img 28) as Floyd Wolven age 39, single, living at home. Chauffeur, private family.